January 2nd is a special day in our family. Fifteen years ago I married my best friend. Celebrating our wedding anniversary around the New Year is such a great way to think about the many wonderful memories of the past year, and the blessing my marriage is to me. I have known Todd since I was six years old and so we are technically celebrating 28 years of being friends. He is such a wonderful, good and loving man I couldn’t be happier to work with him and raise our children together. Every moment we have together is a gift–not that life is always easy but together it makes life worth living. 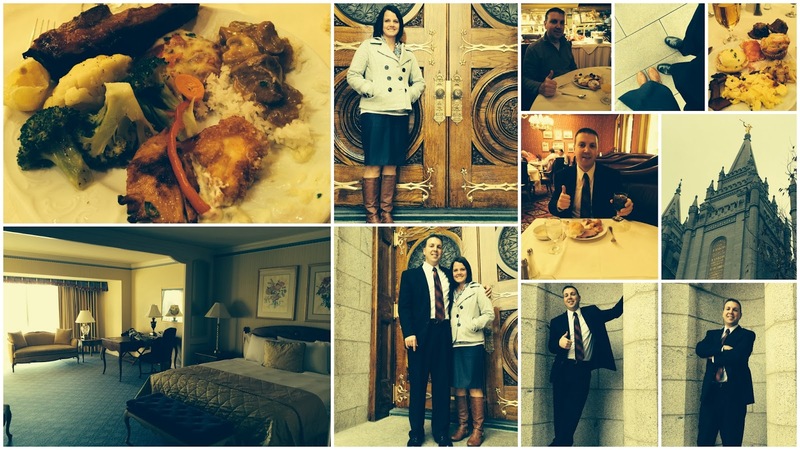 For our 15th anniversary we spent a few days in downtown Salt Lake at an old and charming hotel Little America. We had such a great time I can’t help but send a shout-out to everyone about how great their service was, the hotel ambiance and their buffets. Oh my! I am a harsh food critique (to say the least) and Little America serves a breakfast and lunch buffet that is out of this world! Everything was seasoned perfectly and I became a little fanatical about how great the food was. I had a hard time not talking about the food our entire trip. It’s not very often I eat at a place where you walk away thinking…I couldn’t improve on that one bit! Every bite was unreal. If you are wanting a fun, delicious, romantic get-away I would suggest this darling hotel. The raspberry crepes, bran muffins, breaded halibut and teriyaki salmon are calling my name! I might just have to go back more often than yearly. YUM! Thanks Todd for an amazing life and weekend together. Love you! Trim the chicken of any excess fat. Cut the chicken breasts and cut in half horizontally making two thin chicken fillets. Do this to each chicken breast. In a large gallon size Ziploc bag place the salt, pepper, flour and panko and mix around until combined. Heat a large sauce pan with the olive oil and butter. Heat to medium-high heat. Place several chicken breasts into the flour mixture, shake around until chicken is coated. Shake off extra flour and then place the chicken into the hot butter. Let the chicken breasts cook on each side until golden brown but not cooked through. Once the chicken is golden brown, place on a cookie sheet. Continue to do this to each chicken breast until they are all browned. Place the cookie sheet into a preheated oven at 350 for 10-12 more minutes, or until cooked through. To make the lemon sauce, add 2 Tbls. more butter into the pan and whisk together getting all of the browned bits off of the sides and bottom of the pan. Add the chicken broth, lemon juice and zest and cornstarch. Let this sauce simmer for 5-7 minutes. Then add the whipping cream, half and half or milk. Turn heat down and let sauce simmer until it begins to thicken. Once the sauce is ready, add salt and pepper to taste and a 3.5 oz. jar of capers (which has been drained). Remove the chicken from the stove, serve over mashed potatoes and drizzle with the lemon cream sauce. Garnish with fresh parsley and fresh lemon. Congrats! 15 years has gone by so quickly. Thanks for sharing your fun celebration & for this yummy recipe. This looks like a great recipe! However, I am curious as to how you made it for $10.00? I live in East Tennessee, where the cost of living isn't nearly as high as other parts of the country and just the chicken alone would cost me $10.00. Help? Meal Planning Tip–Healthy & Homemade Dinners in a hurry!